Stream Season One & Two for Free Using the Crackle App for TVs, Connected Devices, Game Consoles and Mobile Devices or Online. 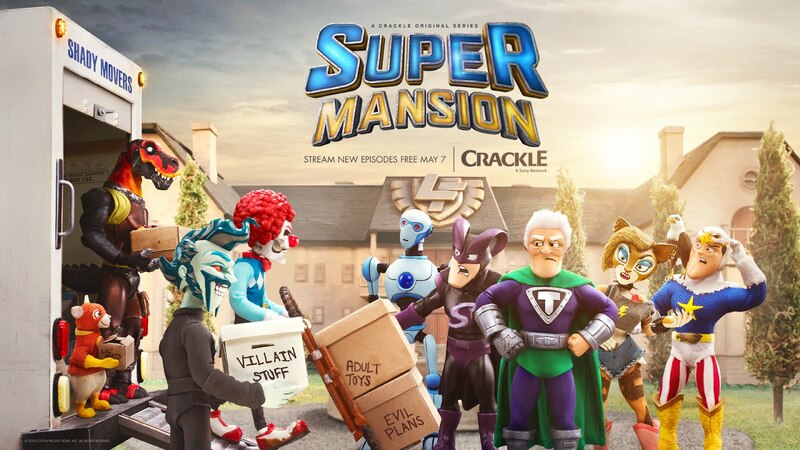 Crackle, a Sony network, announced today at their WonderCon panel in Anaheim, CA that season three of the Emmy®-nominated stop-motion animated series “SuperMansion” will premiere Monday, May 7th. In addition, the network released the never-before-seen trailer and key art. Voice-over stars in attendance included Heidi Gardner (“Saturday Night Live”), Yvette Nicole Brown (“Community”) and Breckin Meyer (“Robot Chicken”), along with co- creators and executive producers Zeb Wells (The Amazing Spider-Man, “Robot Chicken”) and Matthew Senreich (“Robot Chicken”), and director Nick Simotas (“Back at the Barnyard”). In the upcoming season, the lunatics get the keys to the asylum when Dr. Devizo (Chris Pine) is declared a hero after “saving the world” at the end of last season. He and the Injustice Club are all made honorary members of the League of Freedom. The heroes and villains must learn to live and work together if they’re going to combat the never-ending amount of evil in the world. Bryan Cranston (“Breaking Bad”), Keegan-Michael Key (“Key & Peele”), Chris Pine (“Star Trek”), Jillian Bell (“22 Jump Street”), Yvette Nicole Brown, Heidi Gardner, Tucker Gilmore (“Frozen”) and Zeb Wells (also writer) will all return as voice-over stars. Additionally, Breckin Meyer will return as Courtney and newcomer Mikey Day (“Saturday Night Live”) will guest star on Monday, May 14th as Max Penalizer, an anti-hero meting out justice with his Ball Peen Gavel of justice. 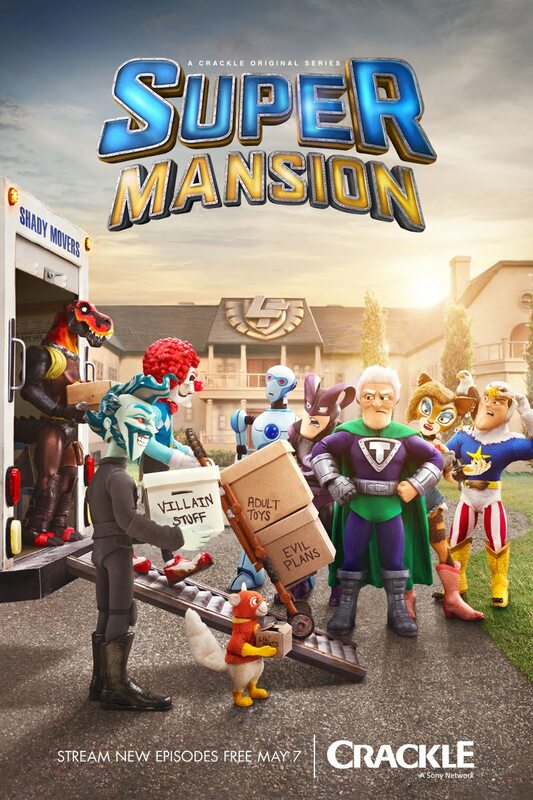 “SuperMansion” is created by Zeb Wells and Matthew Senreich, who also act as executive producers under their production company Stoopid Buddy Stoodios alongside Seth Green, John Harvatine IV and Eric Towner. Bryan Cranston and James Degus also serve as executive producers under their production banner Moon Shot Entertainment. The series is distributed by Sony Pictures Television Inc. Follow “SuperMansion” on Facebook, Instagram and Twitter. Join the conversation with #SuperMansion and #Crackle.